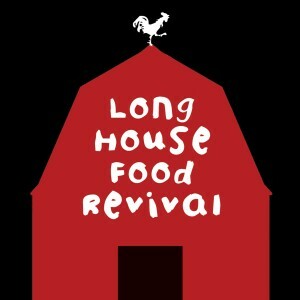 Live fire cooking and stimulating conversation about the business of food stories will come together this Friday, February 1, at the Austin LongHouse Food Revival. Produced in collaboration with the UT Food Lab, this evening promises to excite both your taste buds and your brain cells. Local favorites Boots in the Oven and Hilah Johnson will be joined by Gustavo Arellano, author of Taco USA: How Mexican Food Conquered America, Elissa Altman, founder of PoorMansFeast.com, Melissa Guerra, co-founder of Texas Foodways, acclaimed food writer Molly O’Neill, and Pulitzer Prize winning photographer Beatriz Terrazas. Join the event and be part of the conversation. You never know who you’ll meet or what you’ll learn, but I promise your mind and belly will be well-fed. $60. 6pm – 10pm. Pine Street Market. Buy tickets online. Save the Date for Live Fire! The Austin Food and Wine Alliance’s celebration of open fire cooking is April 25. It promises to be a roarin’ good time for all. So circle the date on your calendar and look for the news here when tickets go on sale. This is one of the year’s must attend events. January 31: Noble Pig Dinner – As if to-die-for sandwiches and breakfasts aren’t enough, the staff at the Noble Pig host a monthly dinner where they get to stretch their cooking muscles and show off their skills. At this month’s comfort food dinner you can enjoy sweet potato biscuits with duck confit, shrimp and blue corn posole, a trio of pork with collards, and banana ice cream. A true treat for fans of food cooked with intention and soul. $65, BYOB. 7:00 pm. Noble Pig Sandwich Shop. Call 512-382-6248 or email noblepigaustin [at] gmail.com to reserve. January 31: Balsamic Vinegar 101 - Ever been curious about how one balsamic vinegar is different from another, just why the age matters, or why some are expensive enough stores lock them away? Get all of your questions answered in this class with local oil and vinegar experts at Con’ Oilio. $32. 6:30 pm – 8:00 pm. Con’ Olio at the Arboretum. Buy tickets online. February 1: Food, The City, and Innovation Roundtable – Join experts from UT and Boston University at a two-day community round table to discuss opportunities for innovation in our food system. Sessions will challenge how we think about food production, how we’ll feed or growing population, and more. If you’ve ever thought that the way we produce and consume food needs to change now is the opportunity to do something about it. $75. 9 am – 5pm each day. E.A. Smith Building on the UT Campus. Register online. February 2: Guess Who’s Coming to Dinner – Take part in one of Austin’s most interesting and intimate food adventures: private dining in lovely homes all around Austin to benefit Project Transitions’ services to those living with HIV/AIDS. Getting started is easy: pick a dinner that sounds interesting, buy your ticket, and get ready for a fun evening with fellow food lovers. After dinner join everyone else who experienced the evening at a Champagne and Dessert reception at Nest Modern. $100. Saturday Evening. Reserve online. February 2: Wine Dinner at Flat Creek Winery - Take a jaunt out to Flat Creek Winery for a four course dinner paired with the winery’s latest offerings. You’ll enjoy smoked duck, smoked shrimp bisque, beef tenderloin, scallops, and more. If you’re looking for a little something different to celebrate love and friendship this February think of this as a Valentine’s Day adventure off of the beaten path. $65. 7:00 pm. Flat Creek Estate. Reserve online. February 7: Dine Out for the Cure – Young Professionals for the Cure is hosting the 2nd Annual Dine Out for the Cure. All you have to do is visit a participating restaurant around town and a percentage of what you spend on dinner will be donated to the Komen Austin Affiliate and the local fight against breast cancer. 75% of the funds raised will stay in our five county service area to fund breast cancer screening, treatment, and education programs while the remaining 25% funds the national Susan G. Komen for the Cure Grants Program for research.